Marinade flank steak in barbecue sauce overnight for tender barbecue. Flank steak is an inexpensive cut of beef versatile enough to use in many different barbecue recipes. Seal in the natural juices of your flank steak by barbecuing it on a hot grill. 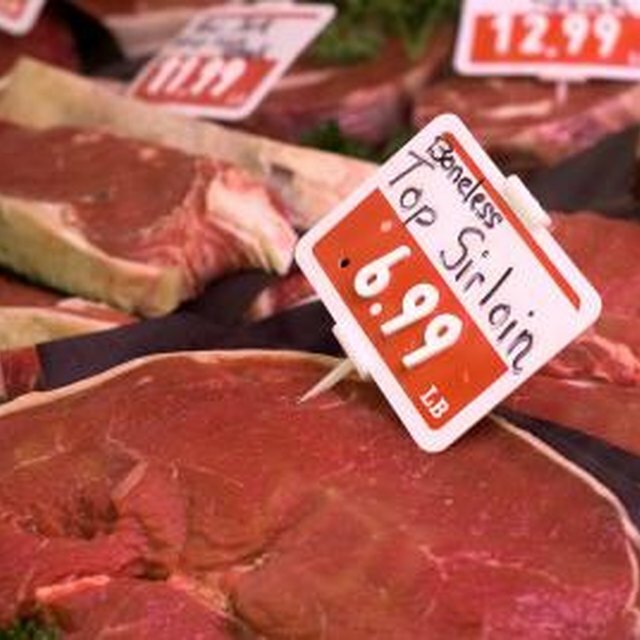 Plain grilling may cook the steak unevenly, drying out the meat during the grilling process. A juicy barbecue sauce or protective rub will help the flank steak retain its natural moisture and make it more tender. Barbecued flank steak is good for slicing or it can be shredded after cooking for sandwiches. Heat half the grill, keeping one side unlit. If using a gas grill, use one burner. If using charcoal, set the charcoal to one side. Clean the grill rack with a grill brush or paper towels. Pour 1/2 of one standard bottle of barbecue sauce into a shallow glass dish. Lay the steak on the cutting board. Pierce the steak with a fork several times to allow the barbecue sauce to permeate the meat. Place the steak in the dish, turning it once after 10 to 15 minutes. If marinading overnight, cover dish and place in refrigerator, turning once. Place the steak on the heated side of the grill. Cook the steak for 3 to 4 minutes, then turn with the grill fork. Baste the steak with the barbecue sauce and allow the opposite side to cook for 3 to 5 minutes. Flip the steak and move it to the unheated side of the grill. Cook it for 1 minute. This will allow the remaining barbecue sauce to caramelize. Flip the steak once more and cook it for 1 minute. 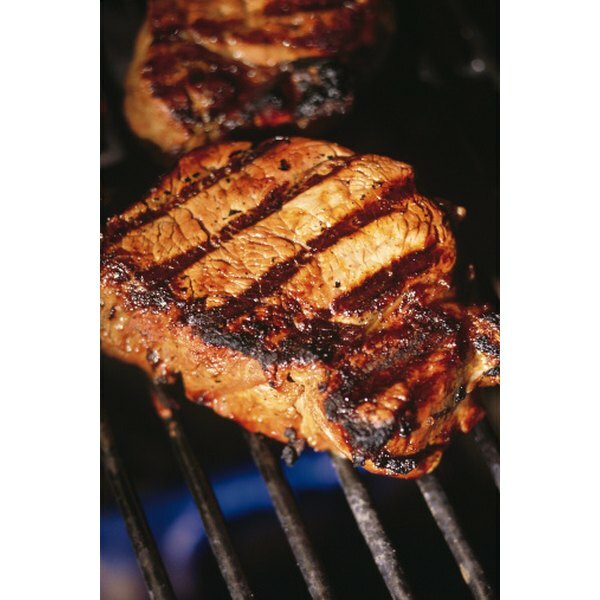 Remove the barbecued steak and allow it to rest for 5 to 10 minutes before slicing it. Vinegar-based barbecue sauces are good for tenderizing flank steaks.